The Wall Street Journal has yet another essential report from inside the meltdown of biomedical company Theranos. The company, which is currently the subject of a criminal probe for allegedly misleading investigators and government investigators, is reportedly offering investors more shares in exchange for a promise not to sue them. 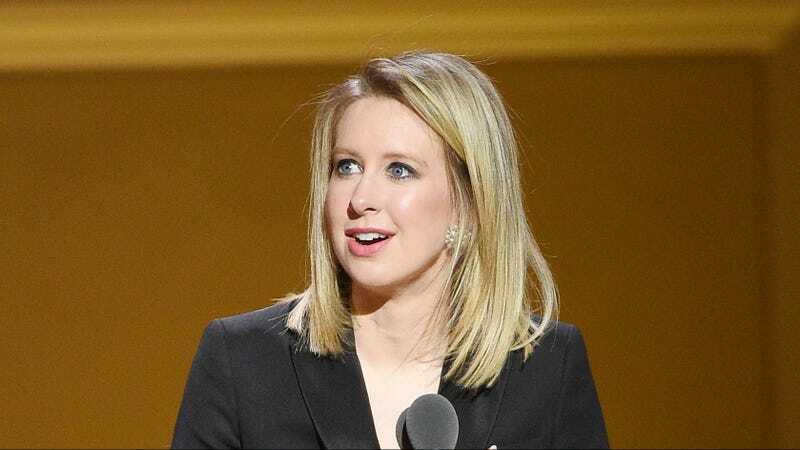 The Theranos disaster-saga began after a series of damming WSJ reports revealed that the company was fudging testing results from its flagship blood testing device. The company is currently being sued by Walgreens, its investor and one of its biggest partners. Walgreens actually had Theranos testing devices in its stores before the controversy broke. CEO Elizabeth Holmes was also banned from operating a lab for two years, and the company ended up shuttering its lab in Arizona. Theranos’ plan to pay off potential plaintiffs with “about two additional shares for each share they bought” was approved by the company’s board in February, the Journal reports. The stock itself would come from Holmes’s personal shares, a stake Forbes analysts marked down from an estimated $4.5 billion to “essentially worth nothing” last June. Previously, Holmes had almost complete control over the company she started in 2003, so much so that the board of directors didn’t have the power to remove her. Investors still have to approve the newly reported pay off, but if they do, it’ll be interesting to see what happens to Holmes after she gives up the power she once held so closely.